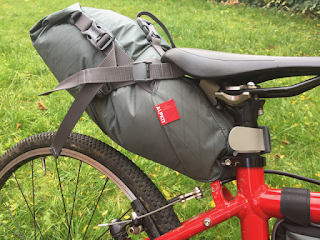 I do long distance cycling trips and I’ve been trying to find a way of carrying my luggage without a rack and panniers on my Islabikes Luath 24. 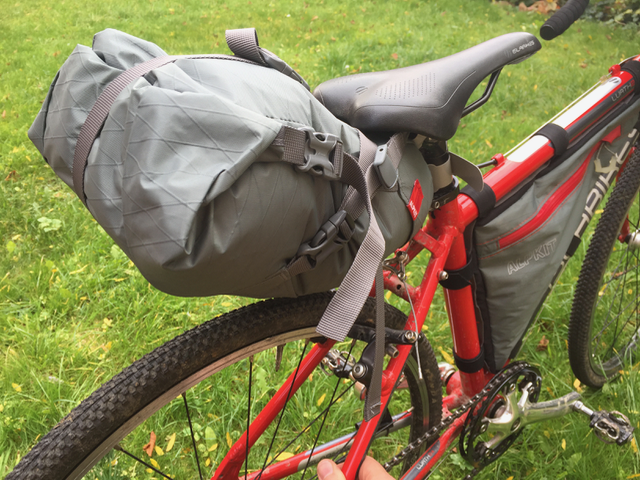 I used to use panniers on my Beinn 20 Large, but now I am riding a road bike I wanted to do something a bit different and have a setup like Mark Beaumont used on his ‘Africa Solo’ trip. 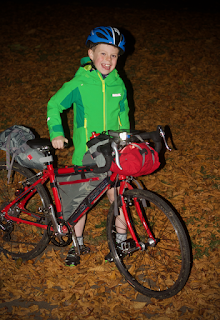 That's how I ended up buying the new Alpkit 'Wombat'. Before I had been told about these new Wombats, I was using an Alpkit Airlock Xtra 5 litre dry bag with dual straps and a custom built Stingray which I got for my birthday. My Stingray fits really well and I have not experienced any problems with it so far, but I needed some more storage space. I couldn’t get a full size Koala because the space between my saddle and back wheel was too small. 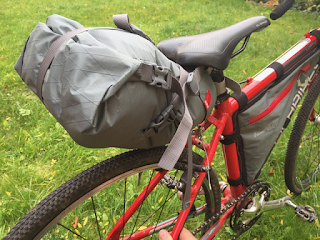 My solutions would have been to have a custom seat pack made or to just have a rear rack and panniers. I went to Alpkit with my bike, King Louis, and met Connie, who showed and told me all about this brand new product called a Wombat which is a 7 litre expedition seat pack. Connie said that the new product might solve my problem but it was so new that it wasn't for sale yet! When Connie brought out the Wombat I thought it looked like someone had taken a Koala and put it through a shrink ray! 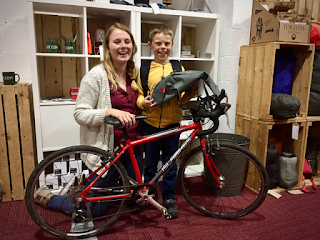 I put on my Stingray and the dry bag on my handlebars and Connie let me have a ride around the car park with the Wombat and some other products to try. 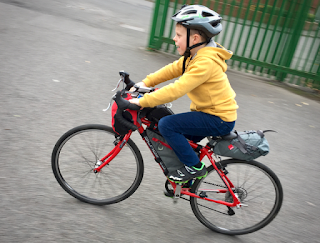 I ended up with only one of the saddle straps on the seat post but apart from that it fitted nicely. I did not feel the seat pack at all when I was riding. I only noticed it only when getting on and off the bike because I have to make sure that my leg goes over the bag. I went for the colour ‘steel’ which is grey in real colours but it is also sold in yellow, ‘chilli’ (red), black and ‘flo orange’. The price is £70 which is the same price as the Koala. 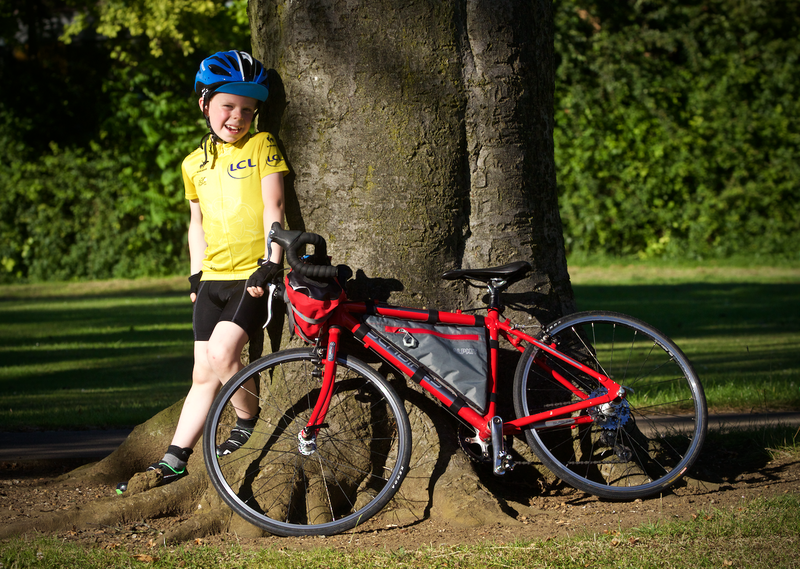 You can now find it for sale on the Alpkit website. I love the Wombat; it’s just what I had been looking for. I am hoping to put a lightweight sleeping bag or some clothes in mine. I wish it could be waterproof but there is nothing stopping you putting a dry bag inside it if you need to. 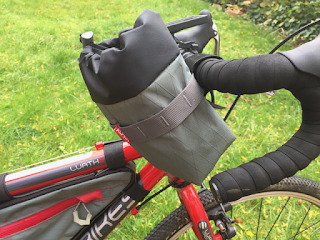 I also have had a small fuel pod (top tube bag) and a stem cell (for my water bottle). 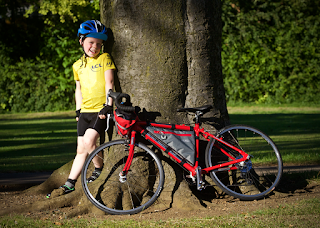 I would highly recommend the Wombat to children with a 20 inch wheel or larger (depending on the actual bike) who want to carry things without needing panniers, or grown-ups who haven't got so much to carry. If adults have more to put in their bag, they could either use a Koala or the new Big Papa. 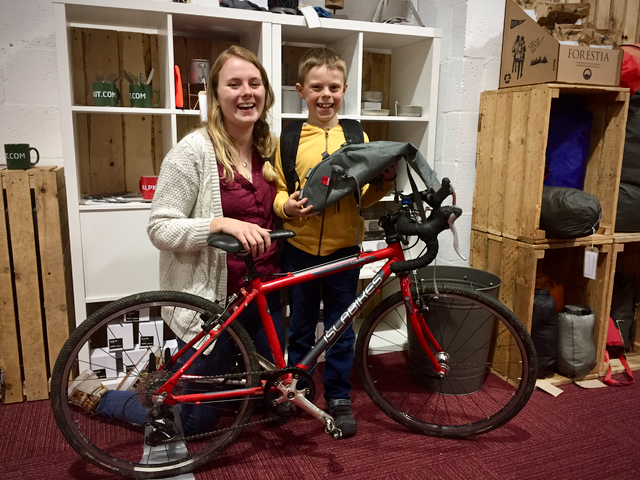 Thank you so much Connie and others at Alpkit for helping me to make my dream come true of having my own mini bike packing setup. PS: The Wombat has been renamed and is now called the 'Small Koala' - my sister Ruth has got one now, as well! 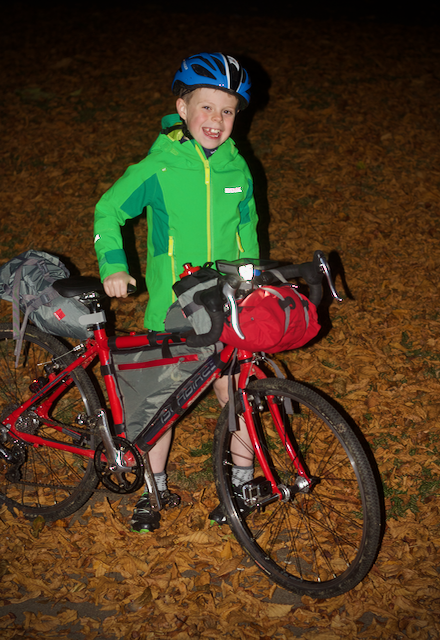 Coming soon... Tom's perspective on creating a bikepacking setup for adventurous children. For now, why not read about Thomas Ivor's speaking trip to Yestival?